The University of Twente and the Faculty of Engineering Technology focus on the grand challenges of the future. One of these key challenging areas is “Engineering for a Resilient World”. Within the Department of Civil Engineering, there is now a vacancy for a tenure track position focusing on the measuring and monitoring of resilience of artificial and/or natural infrastructure in cities and urbanized deltas. 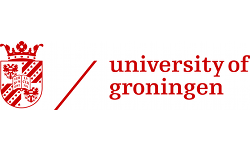 The position is part of an extensive capacity building programme on resilience engineering of the four technical universities of the Netherlands. In our urbanizing world, the ability of critical infrastructure to keep functioning under conditions of stress or shocks is essential to creating and maintaining livable cities and deltas. Climate change, population growth, energy and mobility transitions as well as digitalization push our infrastructures to and beyond their limits. In response to these developments, there is a growing interest for flexible, nature-based engineering solutions and for reconstructing and maintaining urban infrastructure without interfering or disturbing the functioning of the urbanized region. The emergence of new technologies (sensors, sensor networks and platforms, remote sensing) and advances in data analytics offer opportunities to greatly improve the performance monitoring of both artificial infrastructure (e.g. roads, dykes, bridges, sluices) and natural infrastructure (e.g. green infrastructure, rivers, natural flood protection such as coastal dunes or mangroves). In this position, you will use and develop innovative technologies and methods to advance the resilience of these infrastructures. Your position will be embedded in the ‘Designing Systems for Informed Resilience Engineering’ (DeSIRE) programme, an extensive capacity building programme, set-up by the 4TU-Centre Resilience Engineering . 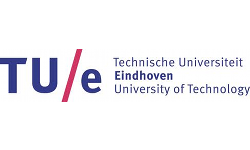 Within this programme of the 4 technical universities of the Netherlands, 16 new tenure track positions have been created at 13 faculties across the 4TU, to conduct excellent research of societal value and set-up and contribute to educational programmes on Resilience Engineering. The programme aims to further interdisciplinary collaboration between the 16 tenure trackers, associated scientific staff and public and private partners. You will have the opportunity to develop your own research lines to address the challenge of monitoring and measuring the performance of infrastructure to improve resilience. At the University of Twente, you will closely collaborate with researchers of the different Civil Engineering groups and of other Departments and research institutes. In the DeSIRE programme, you will work in a team of top scientists on concrete resilience challenges for our broad network of partners in policy and practice. You will teach in the Civil Engineering (and Management) bachelor and master programmes. DeSIRE (Designing Systems for Informed Resilience Engineering) is an extensive capacity building programme, set-up by the 4TU-Centre Resilience Engineering , connecting the four universities of technology in The Netherlands: Delft University of Technology, Eindhoven University of Technology, University of Twente and Wageningen University and Research. You will be appointed for a maximum of 7 years, with the prospect of a permanent position after a positive evaluation. You will be positioned at the Department of Civil Engineering. Our Department counts about 40 members academics staff and 40 PDEng and PhD candidates and is responsible for various educational programs (BSc, MSc, PDEng & PhD). We develop, apply and disseminate knowledge and novel solutions in the domain of civil engineering contributing to a sustainable, efficient, safe and resilient society. Our research characterizes itself as interdisciplinary and explorative. It considers the physical, human and policy context of civil engineering systems, as well as the management of such systems. The combination of these perspectives can be understood as the DNA of our approach in Civil Engineering. Our university offers a dynamic ecosystem with enthusiastic colleagues in which internationalization is an important part of the strategic agenda.